Tom Crago is one of Australia’s most successful young creative entrepreneurs. Tom is CEO of Tantalus Media, one of the world’s leading video game developers with over thirty titles to their credit and huge worldwide sales. Tantalus Media are best known for licenced platform conversions and have created over 40 games for the Xbox, Sega Saturn, Dreamcast, Super Nintendo Entertainment System, Nintendo GameCube, Game Boy Advance, Nintendo 64,PlayStation, PlayStation 2, and PC. Currently they are developing for the Nintendo 3DS, Wii U, iPhone,and PlayStation Portable. He is presently serving as President of the Game Developer’s Association of Australia and is presently completing a PhD at the Victorian College of the Arts. Flashbacks from the Flow Zone is his first book. Tom is also the CEO of Deft Creative, an international media consultancy specialising in video games, the internet, film and television. Tom’s other business interests include co-founding exercise ball company SmartBall, and fashion labels Jessie Tucker and Katarzynkha. 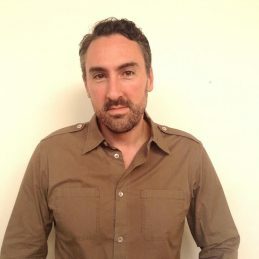 Tom worked previously as a media lawyer at Minter Ellison and as the Director of Development at Ratbag, another high profile producer of video games. As well as holding degrees in Law, Arts and International Business, Tom has enjoyed considerable success as a producer and a writer. His work has reached audiences through film, print, stage, radio and television. Tom has also represented Australia in the sport of athletics and held the title of Pacific Games Champion and State Champion in the Triple Jump. Tom is an energetic and articulate speaker with a rare mix of knowledge and management expertise.